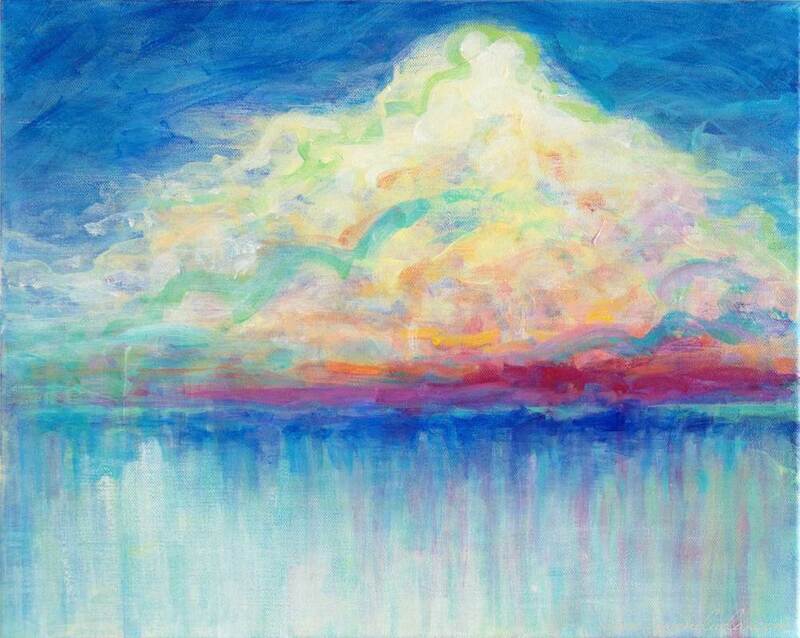 Titled "Soft Solitude" this 16" x 20" original acrylic painting is a dreamy pastel cumulous cloud hovers over water, suspended both in transit and time, reflecting the light from within and without. There's a little colour punch under and to the right of the cloud to ground it counterbalanced by a luminscent highlight in the water below. Peaceful, light, happy and beautiful. Sides painted a light blue/green colour and it is signed on the right side of the canvas.